New Year’s Resolution – Read the Whole Bible! As we begin 2009, there’s no better time to get a fresh perspective and realign our priorities. For many of us, that includes finding new ways to integrate the Bible into our daily lives. YouVersion is here to help! Our One-Year Reading Plan will take you through the entire Bible in 2009—just read the selections mapped out for you each day and you’ll cover the Old Testament once and the New Testament twice this year. Invite friends to join you in this journey and you’ll have built-in accountability along with enhanced learning. Love YouVersion for my iPhone. I’m reading through the NT for the second time this year and highlighting w/bookmarks. Using YouVersion as a personal devotion tool for my wife and I to do in-depth devotions during lunch hours, out-of-town trips, or anytime it caught our fancy. Wrapped up in a blanket chilling on the front porch swing. Reading www.youversion.com and writing. Pretty perfect way to end the evening. Having one of those toss and turn can’t sleep kinda nights. 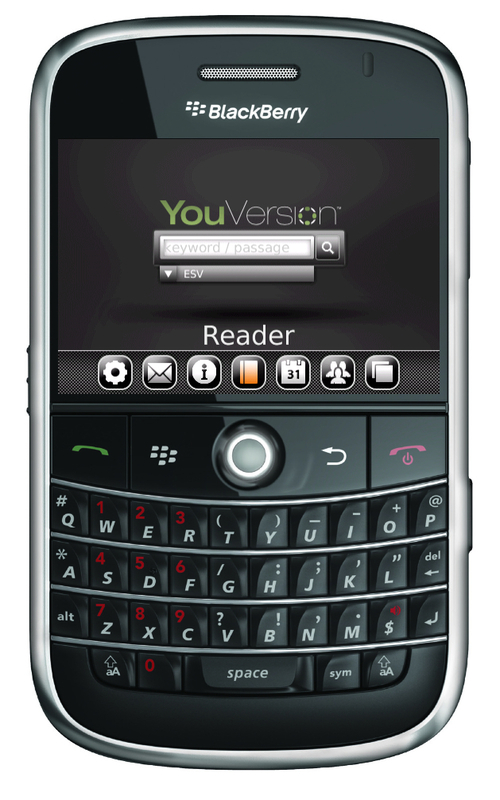 Think I will do a little bible reading on YouVersion. 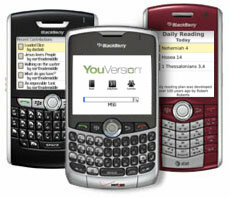 We’ve got lots of exciting plans for YouVersion in 2009 and can’t wait to share them with you. Thanks for being a part of the YouVersion community! Thanks for being a part of the YouVersion community! After many requests we are excited to announce the release of NLT – New Living Translation on YouVersion.com, along with GOD’S WORD Translation (GW), and Reina-Valera Antigua an addition to the available Spanish translations. To make your time online even more valuable, here’s a handy tip: pick your favorite version of the Bible and make it your default in YouVersion. We offer 40 translations with 22 different languages represented, so try out a few and choose the one that hits home. We hope YouVersion is a daily destination where you find ongoing inspiration in God’s word and community with others. Please be sure to share what you’re learning along the way so we can all grow together! Annoucing the Blackberry Bible App [powered by Youversion.com] is now out of beta and into version 1.0! Biggest UI change is an upgrade to a more elegant design, while also integrating sleek carousel navigation in the interface. 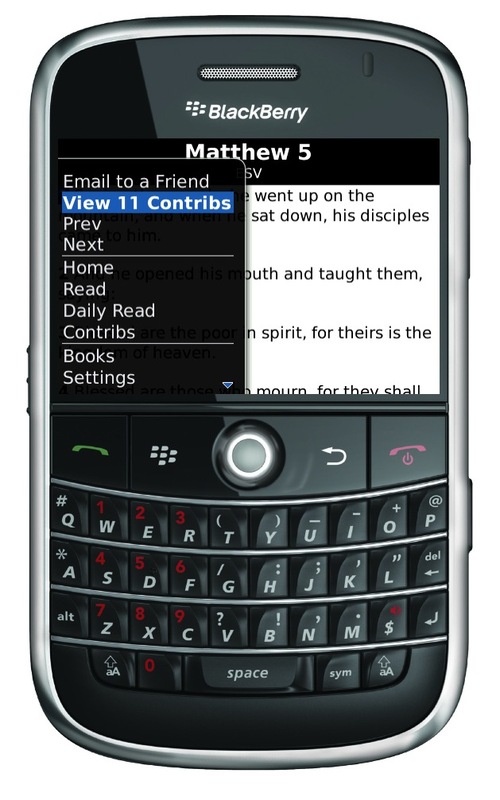 Other features include the ability to email verse to a friend, view contributions from YouVersion users and compatibility with a wider range of Blackberry handsets. Models included in this update are: 9000, 87xx, 88xx, 83xx, 8220, 7130, 81xx… Look for the Storm compatible Bible App coming soon. Below are some screenshots of the new look! 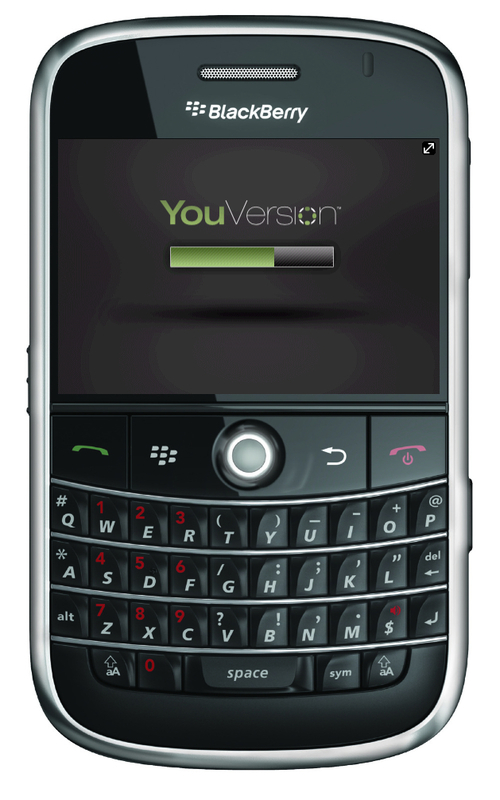 Go here to download new update (Blackberry OS v. 4.2.1 or higher required). You have the option in your wordpress admin to enable the text bubble or just have a straight link to YouVersion. Text bubble is limited to public domain translations, so if you disable the text bubble in the plugin’s administration page you have the ability to link to any available translation on YouVersion. You also have the option to change bubble color. So go check it out!! Download the YouVersion plugin, and then upload it into your plugin folder in your wordpress account. Book List – for easy scrolling and searching. We are excited to get this update out to all of our Blackberry users, and we are continuing to improve this app with more improvements to come in the next few weeks. You can get the Blackberry download Here. Enjoy!